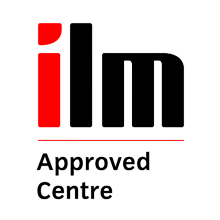 The Institute of Leadership & Management (ILM) Level 4 Award, Certificate and Diploma in Management qualifications are designed for new and aspiring department heads, regional team leaders and other middle managers, enabling you to really get to grips with the role, gain comprehensive business knowledge and develop the skills you need to lead at this level. All learners are able to study a diverse range of units to build their qualification - an Award (Minimum 5 Credits), Certificate (Minimum 13 Credits) or Diploma (Minimum 37 Credits). This high level of flexibility allows individuals or their employers to custom build a qualification focusing on the key areas of middle management that are most relevant to the demands of a specific role, industry or organisation. Please note these qualifications are classroom-based VRQ Qualifications that are aimed at developing you as a manager. However you may also study a work-based NVQ at this level. This course is aimed at new and aspiring department heads, regional team leaders and other middle managers. This qualification will provide progression opportunities to other qualifications such as ILM Level 4 Certificate, Diploma or Extended Diploma in Leadership and Management and Level 5 Qualifications in Leadership and Management.